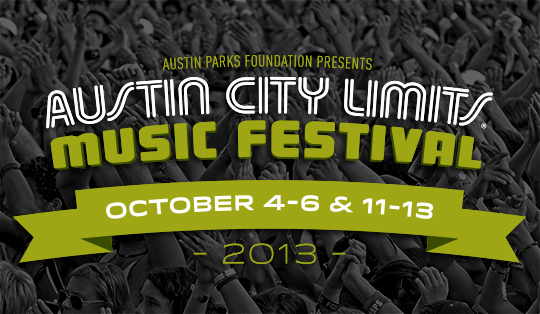 At long last, the lineup for the 2013 Austin City Limits Music Festival was released earlier this month and is packed with excellent talent, resurgent artists and a definite local flare for Austin-area performers. 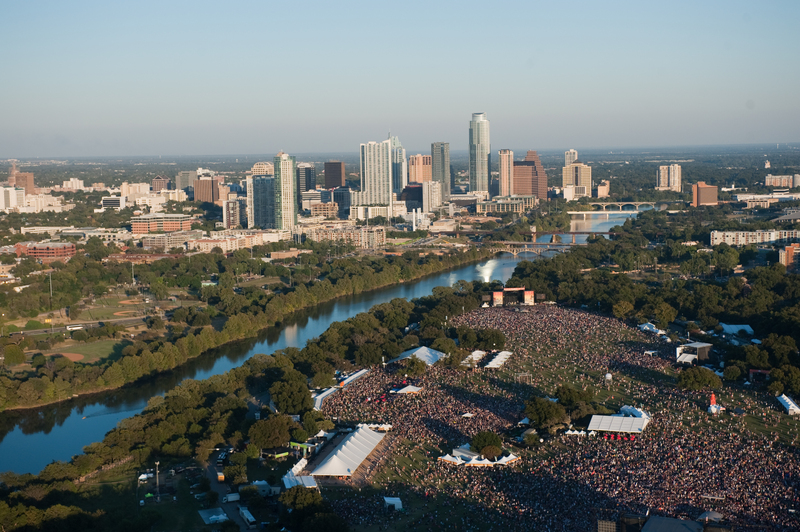 Not to mention, for the first time, the festival will be held over two fun-filled weekends (October 4-6 and 11-13) at Zilker Park here in Austin, Texas. The lineup includes The Cure, Depeche Mode, Thom Yorke’s Atoms For Peace, Kings of Leon, Muse, Phoenix, Wilco, The National, Queens of the Stone Age, Vampire Weekend, Arctic Monkeys, Kendrick Lamar, D’Angelo, Passion Pit, Franz Ferdinand, Tame Impala, Local Natives, Portugal. the Man, Neko Case, Grimes, Jimmy Eat World, Dawes, The Joy Formidable, Sons of Fathers, Purity Ring, Divine Fits, Toro Y Moi, The Shouting Matches, Haim, Smith Westerns, Savages, FIDLAR, Parquet Courts, Autre Ne Veut, Phosphorescent, Wild Belle, and Hundred Waters. Also playing are Lionel Richie, Kaskade, Silversun Pickups, Grouplove, The Black Angels, Okkervil River, Shuggie Otis, Wild Nothing, Pinback, Foxygen, Reignwolf, Deap Vally, Bright Light Social Hour, Lissie, Jon Spencer Blues Explosion, Thao and the Get Down Stay Down, White Denim, The True Believers, Mona, Roadkill Ghost Choir, JC Brooks and the Uptown Sound, Typhoon, The Blind Boys of Alabama, Dan Croll, Shovels & Rope, Electric Guest, Valerie June, The Band of Heathens, Red Baraat, Jacuzzi Boys, and Widowspeak. Three-day and VIP passes went on-sale on Tuesday, May 6th through the festival’s website and, at last check, were still available for the second weekend, October 11-13. Hope to see y’all here in Austin this October!